You have well over 200,000 subscribers to your YouTube channel where you post a new video every week. You lot must be raking it in, right? There's no money in the YouTube channel. In fact we're losing money on it to make the sketches, but we do it to get people to the live shows. We did really want to do telly at one point, but in the last couple of years the live tickets have been selling really well. We're just seeing the number rise and that's all we really want to do now. Having said that, if the BBC came to us with a blank cheque book and said 'do this', of course we would jump at it. But we're not pursuing it the way we did in the past. With YouTube we can do what we want and we can develop our own style there. Do the three of you have the exact same sense of humour or the precise opposite of that? We are definitely different and that's a good thing when it comes down to how we write. 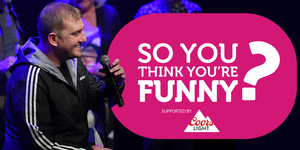 So you get three different senses of humour coming at a joke and if it gets past the senate then it's a good joke. In terms of where we draw inspiration, Lee Evans was a massive thing for Hog, Jim Carrey was huge for Arms, and I like wordplay stuff. Me and Arms both like The Marx Brothers but Hog hates them. I always wonder about a stand-up writing their own material because they're just bouncing it off themselves, so it's very hard to be self-critical. But there's a real benefit there when you have three people. Is it true that the three of you haven't had a single cross word in a full decade of making sketch comedy? There's no angry debate. Someone will say 'I think that's really funny' and someone else will say 'nah, it's not funny' and that's that. We don't try to take aim at anybody or be hurtful with the comedy, it's quite good-spirited. There is one sketch in the show now about two bouncers who go on a blind date and they meet an ex. Hog plays the ex-boyfriend and his body is covered in stamps from the nightclub. He had put a few on his arse as well depending on how far we wanted to go with it on the night. But eventually he said that didn't want to go around for half a year covered in remnants of stamps that you can't wash off. So we all had a chat about that. But no, there are no fights. The three of you got together as a comedy troupe in 2008, just as the global financial meltdown hit. Was this good for your comedy? When we finished college we were possibly among the few people who were delighted about the economy: there were literally no jobs. It was the perfect opportunity to try the comedy thing full-time in a guilt-free way. Had I come out of college at the height of the boom, a job would have been there on a plate. But there weren't any so we thought we might as well do comedy. So yeah, the recession was great. Foil, Arms & Hog: Craicling is on tour from Thursday 14 March to Sunday 19 May. 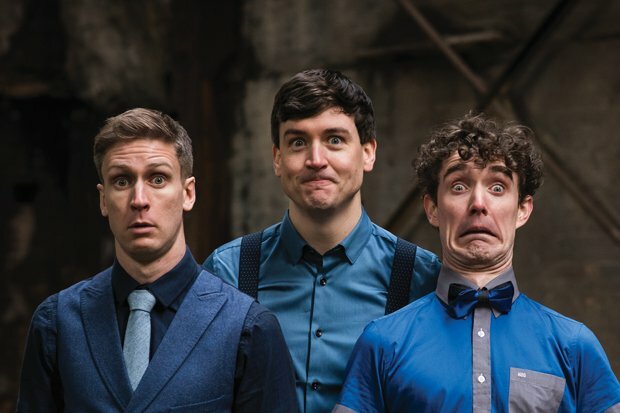 Surreal and energetic sketch comedy and stand-up from the Irish trio comprising Sean Finegan, Conor Mc Kenna and Sean Flanagan.